very similar to Carl Alberg designed Corithian. It was built in Bristol Rhode Island in 1967. It is good classic looking boat. It is very stable with strong rigging, I have taken it out when most of the much bigger boat had to stay in the harbour. It sails well both in strong wind and light wind. 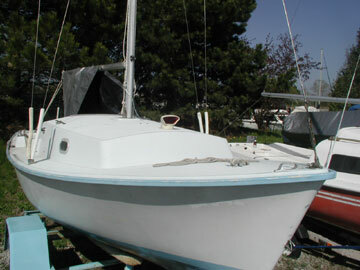 It has a shoal keel and a retractable swing keel. 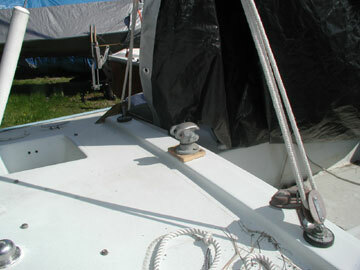 It can be sailed with the swing keel retracted. 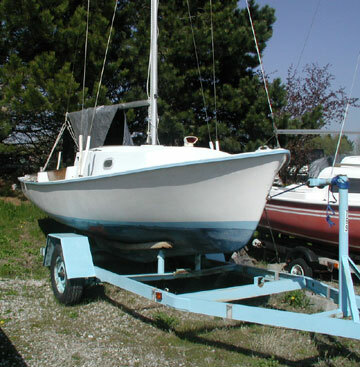 It comes with four sails, main, jib, genoa, storm. 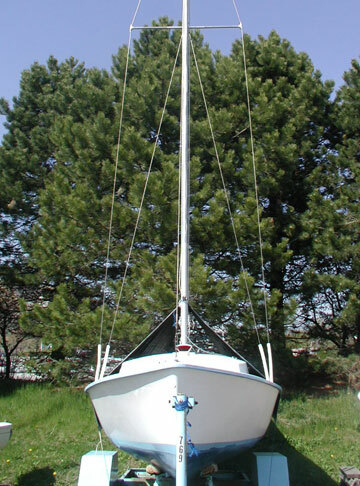 The genoa and sorm sail very rarely used, the main and the jib are also in good shape. Draft Center Board Up: 1'7"
Draft Center Board Down: 3'11"
No engine with the sale, tiller handle was stolen at the club during the winter storage. 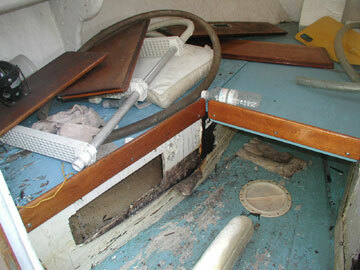 It is solid fiberglass hull all around, no wooden core, just some cabin part are made of plywood. 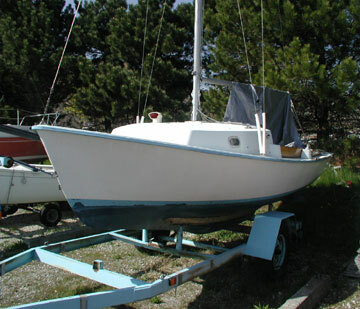 Boat is very strong and solid,Cabin area needs some attention, I haven't done any repair on it since I only day sail her and use cabin for storage only. Thanks for your ad, the boat was sold. Thanks!